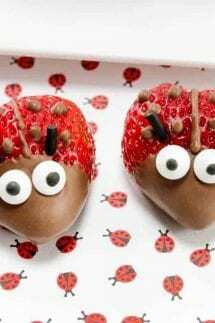 These Chocolate Covered Strawberry Ladybugs make the perfect healthy dessert for a summer party or Valentine’s Day treat! Chocolate Covered Strawberries are so delicious and so easy to make and even more fun when you make them into a Ladybug! Chocolate Covered Strawberries are a decadent and delicious treat, but why not make them even more fun by making them into these adorable Chocolate Strawberry Ladybugs! 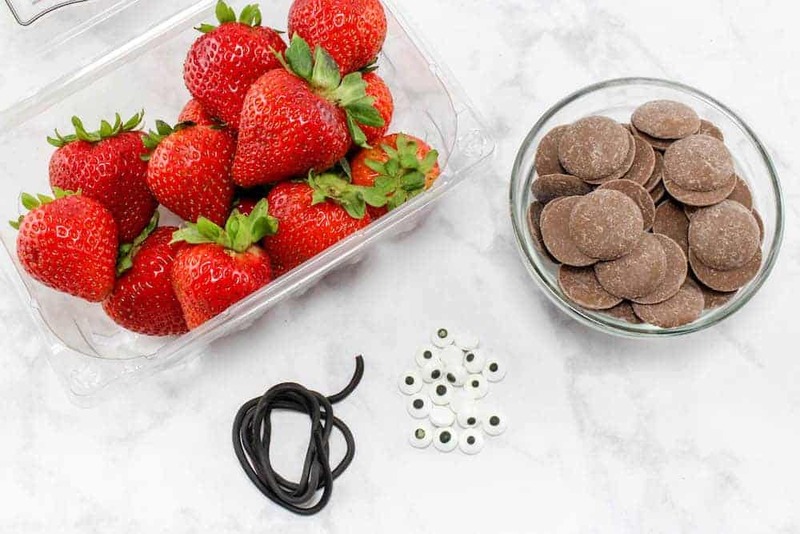 All you need is 4 simple ingredients – Strawberries, chocolate, candy eyes and licorice! 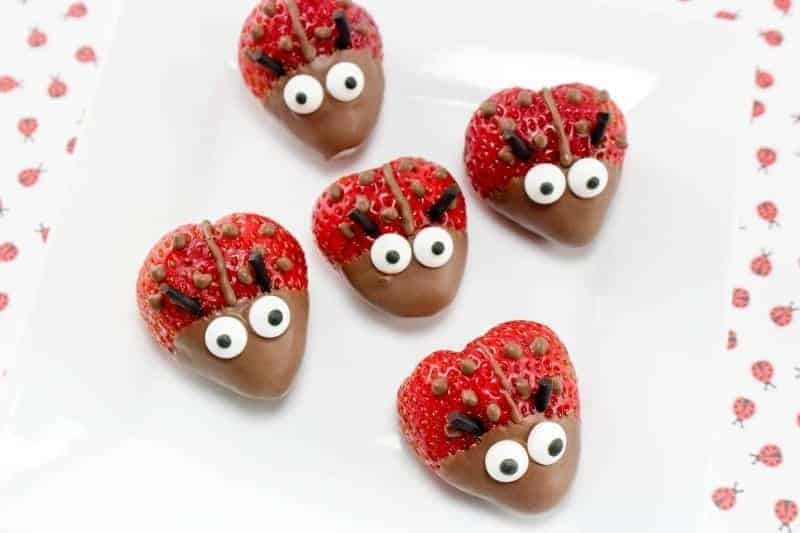 These adorable ladybugs make a great Valentine’s Day dessert, perfect for a classroom party. 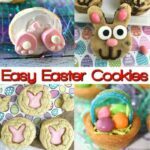 They are also great for an easy fun dessert to make with your kids! If you know me, you know that I don’t really think of myself as a cook, baker, chef or anything of the sorts. I really don’t love to cook, however, I love to create! That is why when people ask me what I do, I tell them that I am a “Food Crafter”. What is a Food Crafter – I love to eat…. I love to eat yummy things…. I love to eat yummy and cute things. These Chocolate Covered Strawberry Ladybugs are exactly that! They are delicious and adorable! Chocolate, strawberries and more! 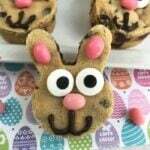 They are a cute and almost healthy dessert that your kids will go ga-ga for! Let them sit out and warm up to room temperature for optimal dipping! Give ’em a shake! After you dip them in the chocolate, shake off the extra chocolate. What kind of chocolate do you use for Chocolate Covered Strawberries? Cut the stems off the strawberries and cute a small sliver off of the bottom so that they can lay flat. Melt the chocolate according to the directions on the package. Dip about 1/3 of each of the strawberries in the chocolate and place 2 candy eyes on the chocolate. Let the chocolate harden for about 5 minutes. Using the remainder of the chocolate, pipe a line down the center of the strawberry and dots along the sides to resemble a ladybug. Cut the licorice into 1/2 inch pieces and poke them into the strawberry above the eyes to make the antennas. 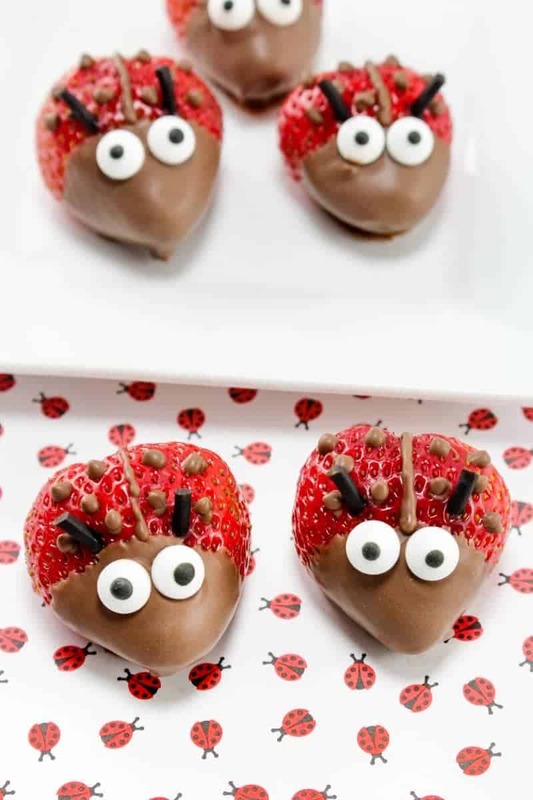 These Chocolate Covered Strawberry Ladybugs make the perfect healthy dessert for a summer party or Valentine's Day treat! Chocolate Covered Strawberries are so delicious and so easy to make and even more fun when you make them into a Ladybug! Poke two of the licorice pieces into each berry, one above each eye to resemble antennae’s. 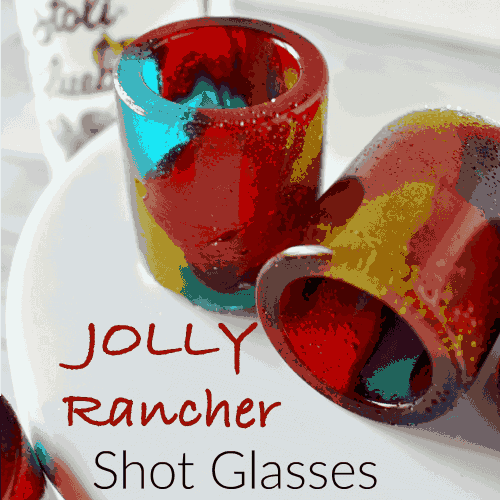 I mentioned my Jolly Rancher Shot Glasses – these are a total crowd favorite! 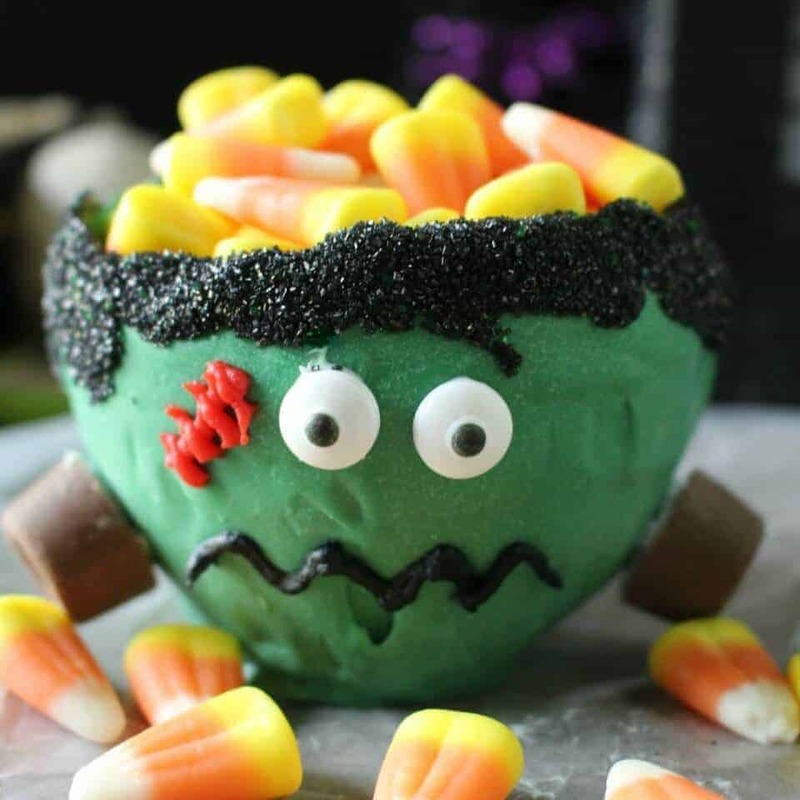 Frankenstein Candy Bowl – You can eat everything on this bowl and the bowl itself! 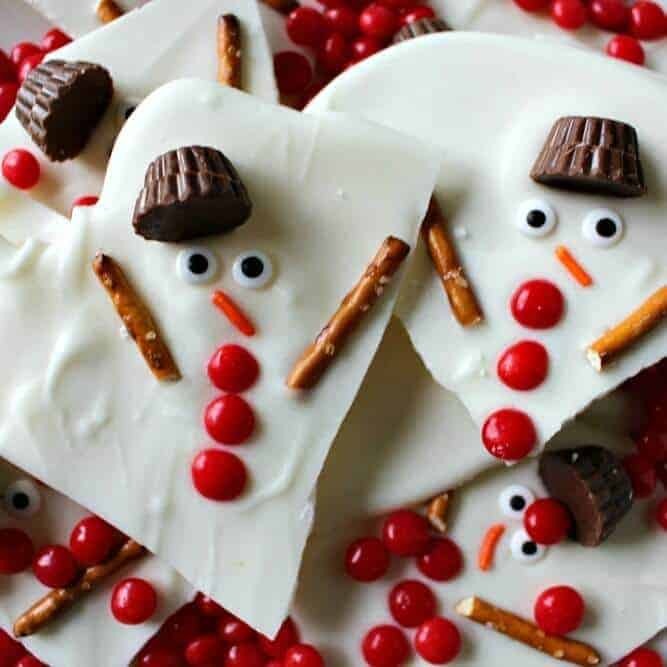 Melted Snowman Bark – this is a Christmas Treat Must Do!! These are so cute! I just signed up to make the treats for my son’s kindergarten class. These will be perfect! These are so cute! And perfect for valentines day.